Is Prime Minister Narendra Modi seeking to "barter" the Tibetan cause in exchange of China giving up some of its territorial claims? It would seem so, if a top report published in one of Japan's most powerful media outfits, Nikkei, is any indication. In a sensational report, Nekkei quotes Indian government sources to say that Modi used rumours of terminal cancer, from which the Dalai Lama is said to be suffering, "to build a more conciliatory relationship with China." According to this report, in April, during an informal summit with Chinese President Xi Jinping in Wuhan, China, Modi tried to portray the India-China relationship as "improved." 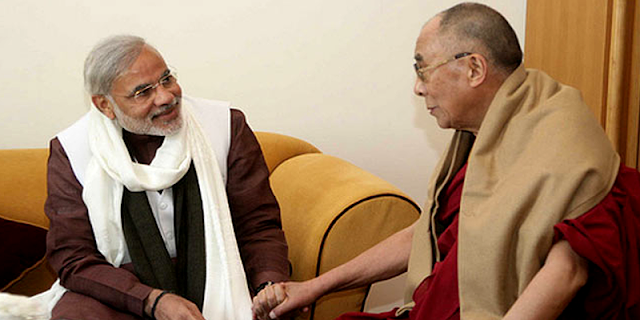 During the meeting, "Modi apprised President Xi of the Dalai Lama's health and the Indian position on Tibet after his death." "This information from Modi took Xi by surprise, and the two discussed the issue for a long time at the Wuhan summit", the report adds. Based on anonymous government sources. the report says, the Dalai Lama's prostate cancer "has spread to his lymph nodes" and that "his life would not be so long", adding, in the past two years, the Dalai Lama has received treatment at a hospital in the US. Meawhile, people close to the Dalai Lama worry that word of this was leaked by US authorities. Now the Dalai Lama "will be going to Switzerland for radiotherapy in the month of August," Nikkei reports. The report suggests that this is not for the first time when the two leaders discussed Tibet. "When the leaders met in 2015 and 2016, they informally discussed a proposal for India to stop accepting new Tibetan exiles after the death of the Dalai Lama in return for China withdrawing its territorial claim on some parts of northern India", it says. India is known to be accepting Tibetans for humanitarian and strategic reasons for the last six decades, as it has believed that Tibet is something of a buffer zone between the world's two most populous countries since shortly after India's independence in 1947. 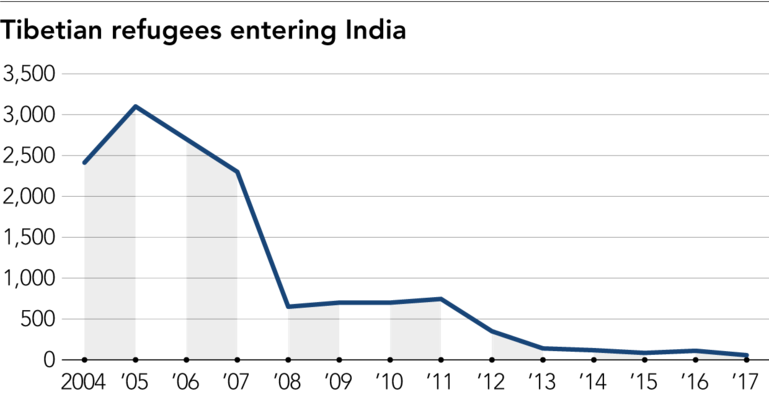 But, lately, says the report, impression has gained ground among Indian policy makers that China has strengthened its grip on the Tibet Autonomous Region, and in 2017 new exiles numbered 57, a sharp drop from over 2,000 a decade earlier. "deeply worried about the 83-year-old religious leader", with Modi trying to "lowering the standing of the Tibetan government-in-exile." In fact, the word has spread that the Dalai Lama may be in serious condition has quietly spread. "I have heard that His Holiness is not well," Migmar Chodon, a 49-year-old housewife in Dharamsala has told Nikkei. "Though I don't know well about it, I am worried"
Meanwhile, a career diplomat of the Indian Foreign Service, MK Bhadrakumar, who has served in the former Soviet Union, South Korea, Sri Lanka, Germany, Afghanistan, Pakistan, Uzbekistan, Kuwait and Turkey, has suggested that there is much truth Nikkei's report. He believes, Modi knows, the bitter India-China legacy "is not his creation and, therefore, he is best placed than any of his predecessors to put a full stop to the delusional belief that we are holding a ‘Tibet card’ with a unique potential to leverage Chinese policies toward India."